Today, I am welcoming one of my very best friends to the blog. 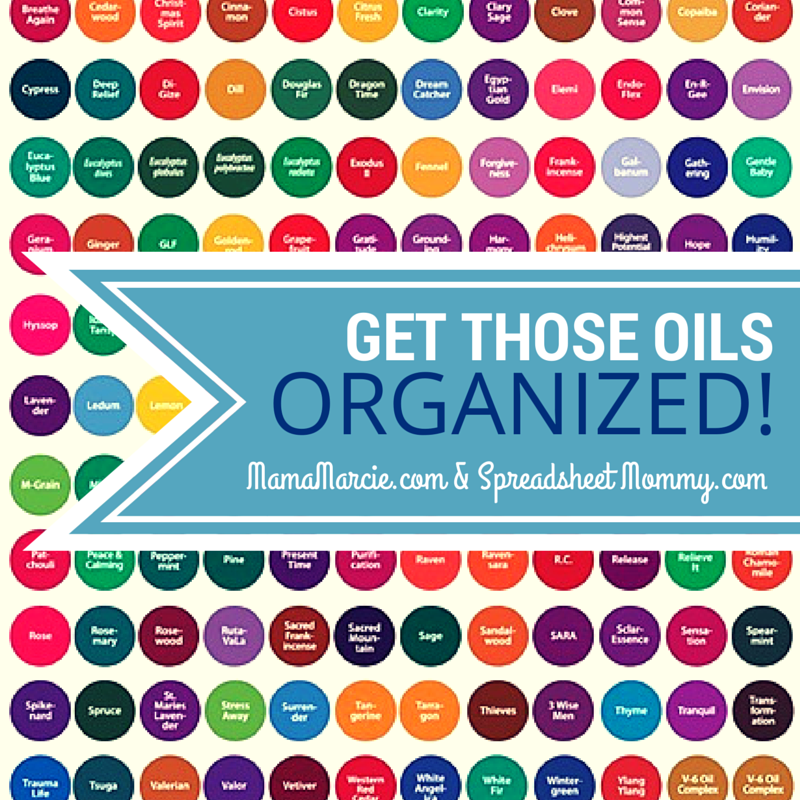 Nancy blogs over at Spreadsheet Mommy and is here to share with us how to organize all those beautiful little bottles of oil we have all over our house :) Be sure to check out her blog after you read this entry! Hi, I’m excited to be a guest blogger on Mama Marcie. 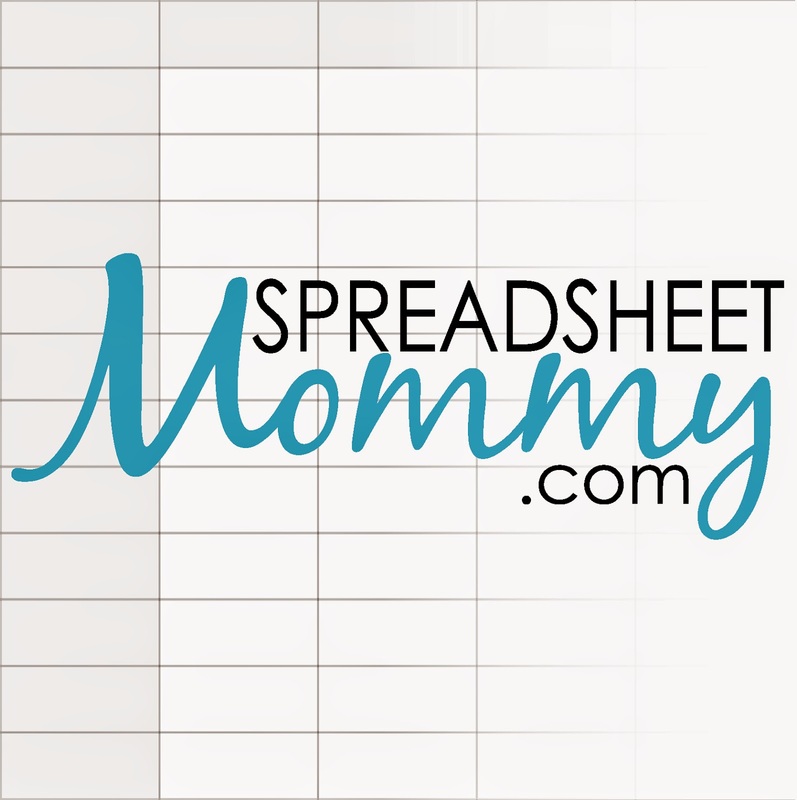 My blog, SpreadsheetMommy.com, is about using spreadsheets to keep things organized! I blog about other topics too – being a mom, cooking, having fun with my family, and living in Dallas. This month I wanted to help Marcie organize her collection of Young Living Essential Oils. Since essential oils are part of her everyday routine, it’s easy to see how tiny bottles of oils end up in rooms around the house, in the car, at work or at the bottom of her purse! With this spreadsheet, Marcie can keep track of her oils and know what she has on hand. I added shading to the spreadsheet so she can shade in gray oils to purchase; this will make placing her next order fast and easy. What are some ways you keep your essential oils organized? While my collection is not as extensive as Marcie’s, I have a small case at home that holds 30 bottles and keep a travel case in my purse with several I use most often.